Expandable spring loaded tension baby gate. 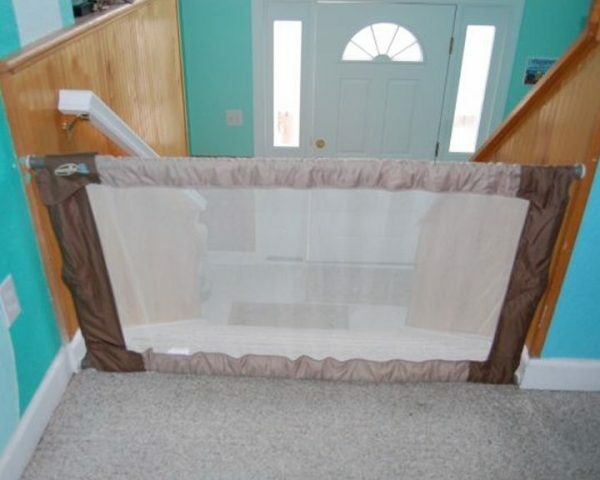 Baby gates extend 26″ wide to 60″ wide and stand 26″ tall. 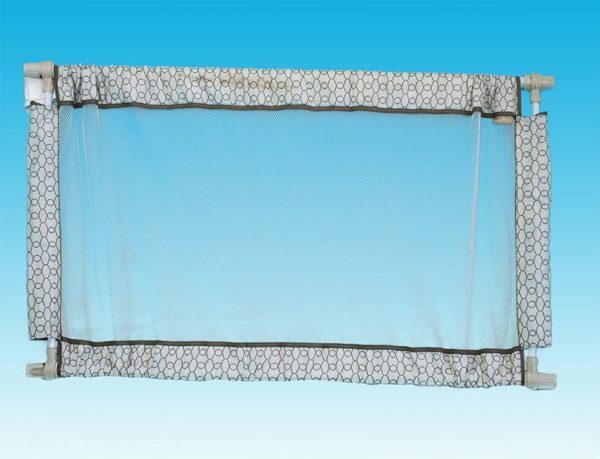 Sturdy metal frame covered with mesh and cloth material.